Possibility to spend the night at Doha airport (DOH), if open 24 hours. Services available, places to rest (free resting zones), or look for the list of nearby hotels and vip lounges..
Doha airport operates with many flights and connections, so the movement and the noise are usually constant, even during the night. Have earplugs, a mask, blankets or a sleeping bag. Where to rest: There are resting areas in concourses A and C, where you can find couches where to lay down, although they are usually crowded. Other parts of the terminal have seats with armrests, but with carpeted floors. 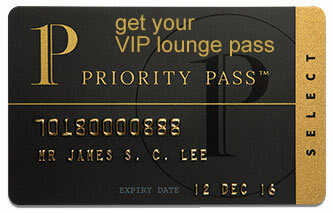 Another option is to use one of the VIP lounges, where you can access more amenities and privacy and which are open around the clock. SEE VIP LOUNGES In the transit area, on the other hand, there is a hotel. Baggage: There are no luggage storage offices. Eating and drinking: Some of the options available inside the terminal remain open throughout the night. Other services available around the clock: ATMs, bank, children's play areas, baby changing rooms, medical centers, spa. The Oryx Airport Hotel (Tel +974 4010 8100) is situated in the transit area of the terminal. There is a wide variety of accommodations in the city centre, and many of them have desks on the ground floor of the enclosure. Oryx Rotana Doha (Tel +974 4402 3333), Doha Marriott Hotel (Tel +974 4429 8888), Strato Hotel by Warwick (Tel +974 4041 4444), Sharq Village & Spa (Tel +974 4425 6666), Oasis Beach Club (Tel +974 4429 7777), Al Mansour Park Inn Hotel & Apartments (Tel +974 4031 2000), Al Liwan Suites (Tel +974 4424 2888), Corp Executive Hotel (Tel +974 4402 7000), Holiday Inn Doha - The Business Park (Tel +974 4031 3333).